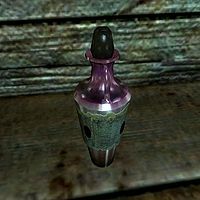 While roaming the wilderness, a skooma dealer may offer you the chance to purchase some skooma. If you (intimidate them unsuccesfully or) tell them that it is illegal they will attack you. Alternatively, you can kill or pickpocket them to take their supplies. Esta página foi modificada pela última vez à(s) 20h08min de 4 de maio de 2014.